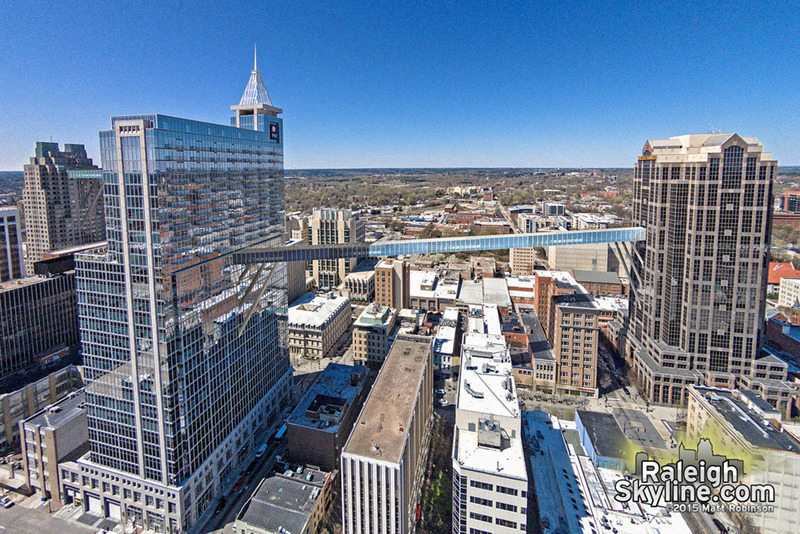 Aimed to alleviate the uncomfortable walk between buildings in business attire on sweltering hot summer days and frigid winter mornings, the City of Raleigh unveiled plans a new first of its kind “skywalk” system to connect downtown’s three tallest office buildings. An air conditioned five to seven minute walk would allow pedestrians from Wells Fargo Capitol Center to nearby PNC Plaza and optionally on to Two Hannover Square in equal time. Encouraged by the success of two smaller skywalks over McDowell and Salisbury Streets that bridge N.C. Department of Environment and Natural Resources Office, Nature Research Center and Natural Science Museum, city officials feel the large scale system will be a model for pedestrian efficiency in other cities around the globe. 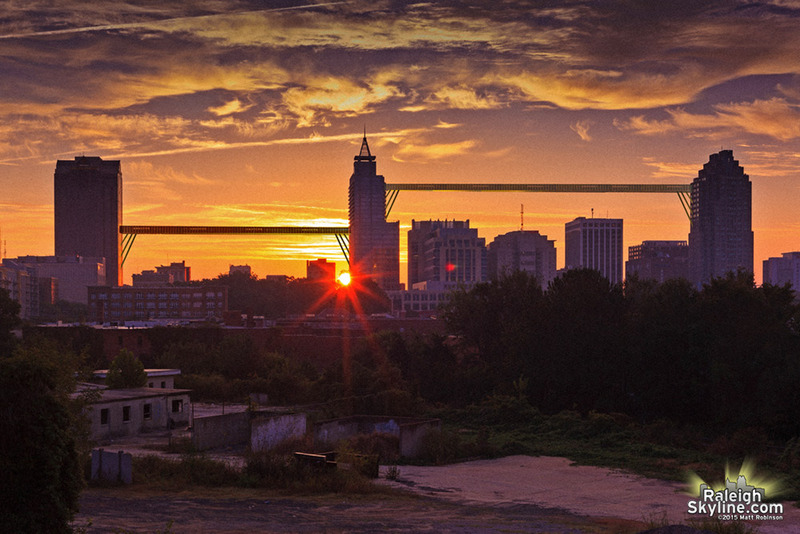 If well received, additional connections will be made from all downtown buildings with the goal of never have to step outside.